Every day, I use a number of tools (software, apps, or whatever the kids are calling them these days) to get stuff done and stave off boredom (and occasionally work). This very blog is somewhat old school in that it’s hosted on 1&1 and managed with WordPress*. 1. Slack – This is a team collaboration platform that’s available either in a browser or an app for PCs or phones. If you have a business group or just some friends that like to be in touch, it’s more substantial than Hangouts and more immediate than e-mail. Also, it’s FREE (with some limitations, but not many). 2. Google Music – Spotify has been my de facto standard in streaming music ever since Lala.com was ignominiously absorbed by Apple. In the past year, though, Google added radio stations for free, and now podcasts. Spotify, on the other hand, changed a few key functions and takes forever to load up now, so opposite trajectory, in my opinion. 3. Amazon Prime – The obvious perks here are free 2-day shipping and a plethora of free videos, but there are less known advantages, too. The most useful, to me, is Amazon Photos, which is a storage spot for every photo I have, including automatic uploading of all the shots I take on my phone. For an extra $59/year, I get UNLIMITED storage for all other files. So, now I have an external HD for backup, plus this off-site option for added security and easy linking. Amazon Music is also included, but they have a way to go to catch up to Google and Spotify. 4. Netflix – Doesn’t need an introduction. We were in early with the original DVD subscriptions, happy to get away from Blockbuster. We got into the streaming service when it was first offered, and even then, they really seemed to understand net optimization. The buffering and rate adjustment worked noticeably better than even Youtube. Networks finally caught up, but they’re still rock solid. Then they started doing their own production, which opened new avenues, and more subversion of the traditional paradigm. And now adding Disney? Dang. My warning: Cable was pretty awesome when it changed the game in the early 80s, but then greedy folks methodically converted it into the cesspool of infomercials and knife shows we know today. Moral? Enjoy the halcyon days of Netflix. 5. 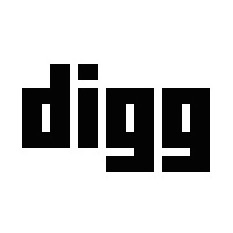 Digg – Not the old one, but rather an all new service, Digg now culls the best and most interesting news from the net, plus some other good stuff. The main news feed includes the title of an article they’ve found, plus a subtitle written by Digg staff (usually pretty humorous), plus some tools (bookmarks, feed reader, and more). To stay up to date in a reasonable amount of time, Digg works best for me. * = I recommend both. 1&1 has been pretty issue-free, although this is not a high-traffic site. WordPress is the standard if you don’t mind doing some of the work yourself. Not too code-y, but not too locked down, either.